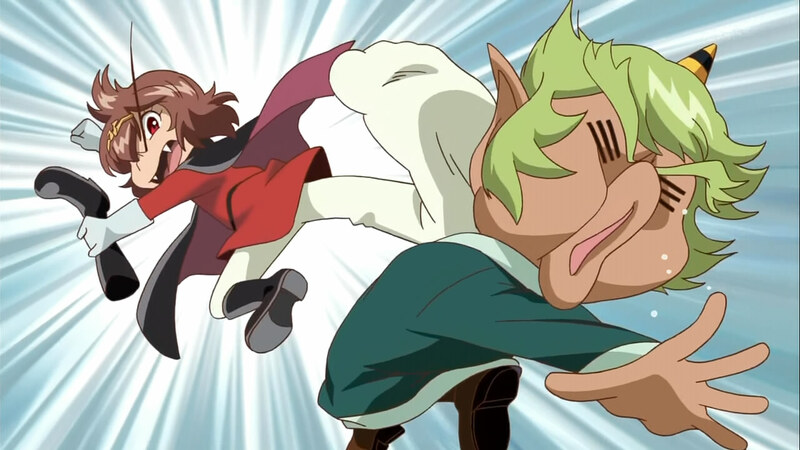 Enma’s child hood friend shows up (who also has a crush on Enpi-chan) to wreak havoc once again on the townspeople. This time, everyone is falling over, in true slapstick fashion, every couple of seconds. The demon doesn’t really do anything worthwhile except act as a plot device. This episode we find out that Enma and Enpi are actually brother and sister, though Enma-kun doesn’t want to acknowledge that fact. We also find out that Enma’s tiara (or the fact that he is wearing it) is what caused Enpi to become an exhibitionist of sorts. Though, nothing is really revealed beyond that point, it seems it will carry over to the next episode. 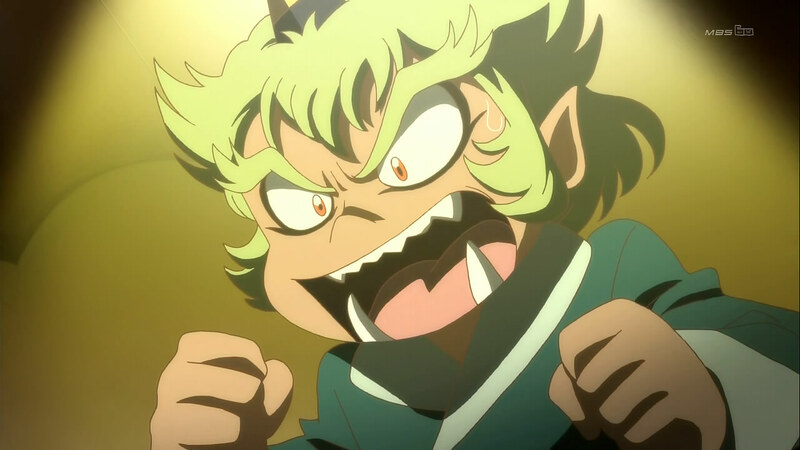 Leave it to Enma-kun to have hyper active, energy-filled episodes where nothing really happens. That seems to be the formula as of late. Despite its many faults, I’m still enjoying the show for what it’s worth. Also glad to hear Norio Wakomoto’s voice again. That’s right, I’m phoning it in this week due to work piling up. This entry was posted in Dororon Enma-kun and tagged Brain's Base, Comedy, Dororon Enma-kun Meeramera, Go Nagai, Phoning It In. Bookmark the permalink.